The John Deere 1 Family Sub-Compact Utility Tractor is light and agile, while still being the workhorse you need it to be. This tractor has enough power to pull out tree stumps, while still being small enough to weave in between trees and shrubs. If you have to mow about 2 acres of land or less, the 1 Family is for you. Use the AutoConnect™ drive-over mower deck to maintain your lawn or garden in the summer, and in the winter, plow your driveway with a snow pusher. 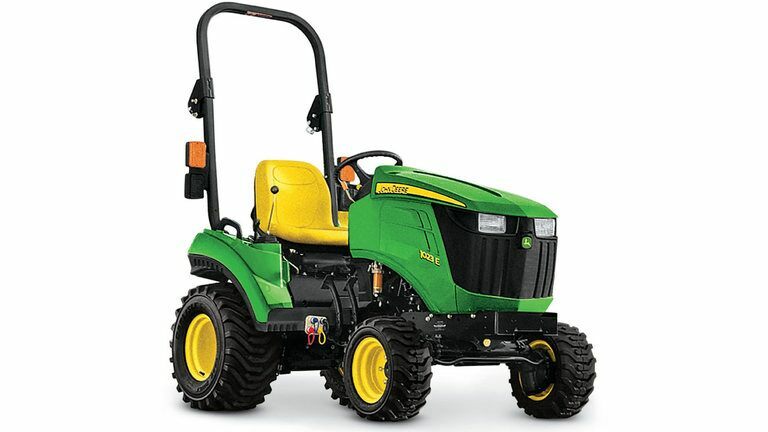 There's a use for the 1-Family Compact Utility Tractor year-round, especially in NEO. 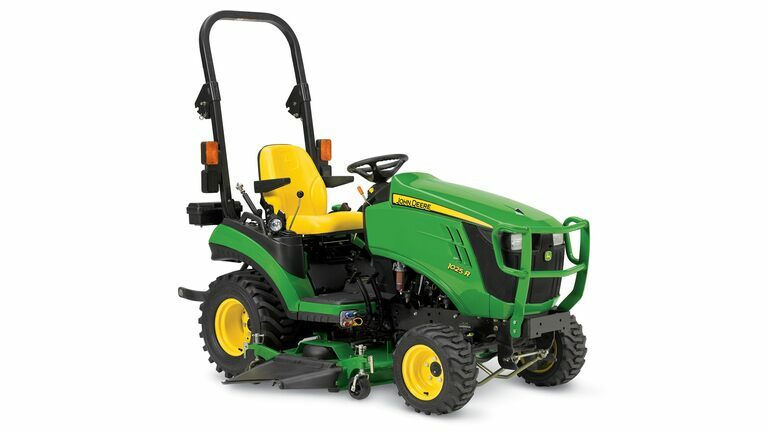 See for yourself how easy this tractor is to operate and visit our store near you in Elyria for a test-drive.